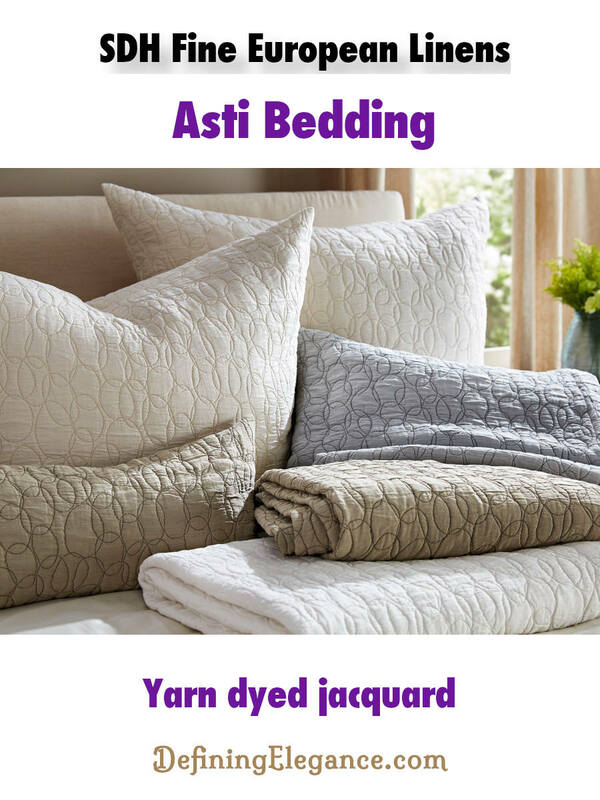 Asti is a new bedding introduction from SDH. 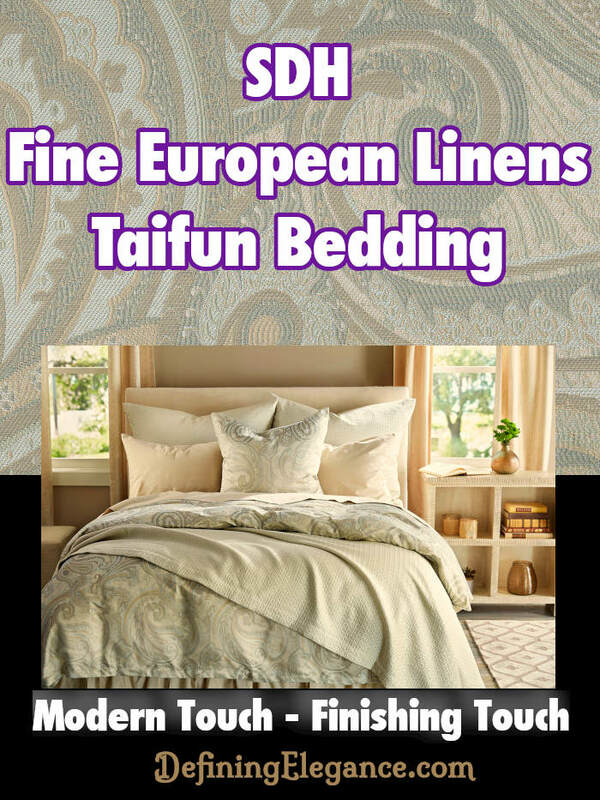 The bedding features imperfect circles – different shapes, overlaping, random circles. 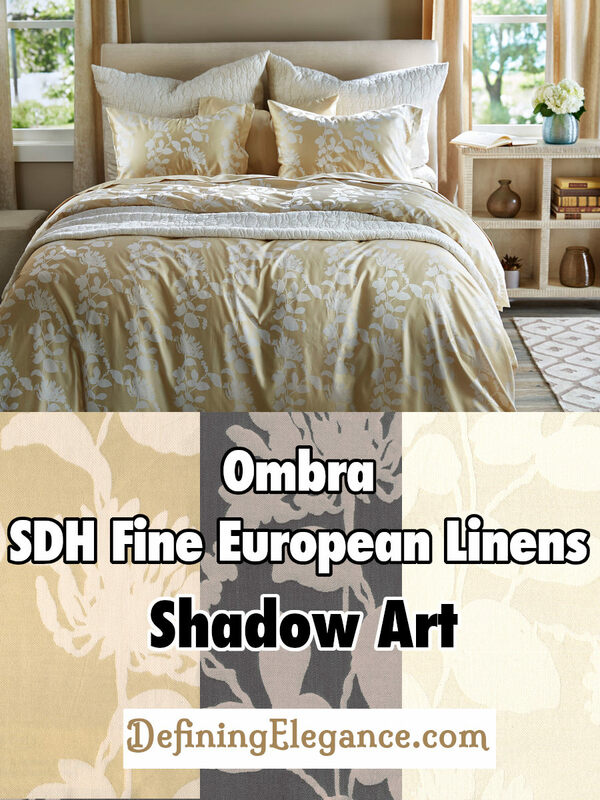 #DefiningElegance #SDHLinens It reminds me of all my little imperfections – you probably have them too. I’ve learned that there is beauty in flaws. It’s what makes us unique and helps us strive for a better understanding of ourselves and the world around us. 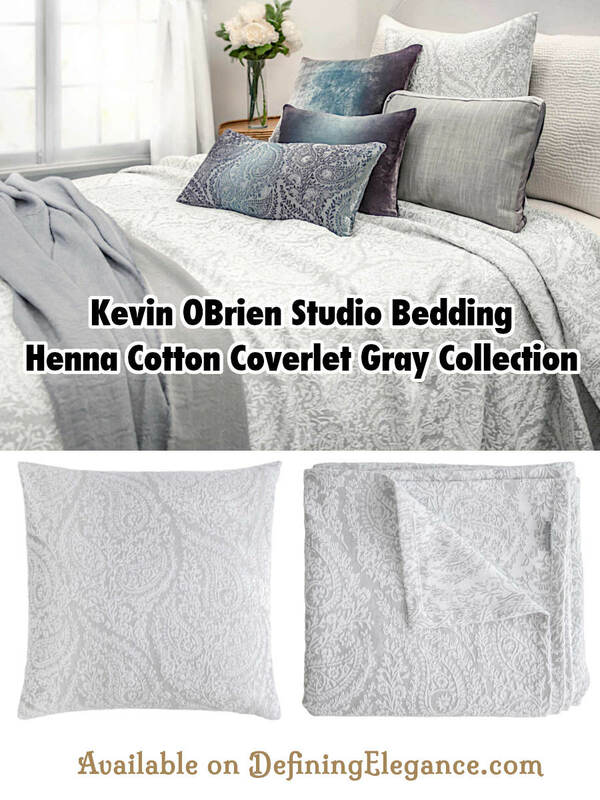 Henna coverlets by Kevin O’Brien offer versatility and design options. 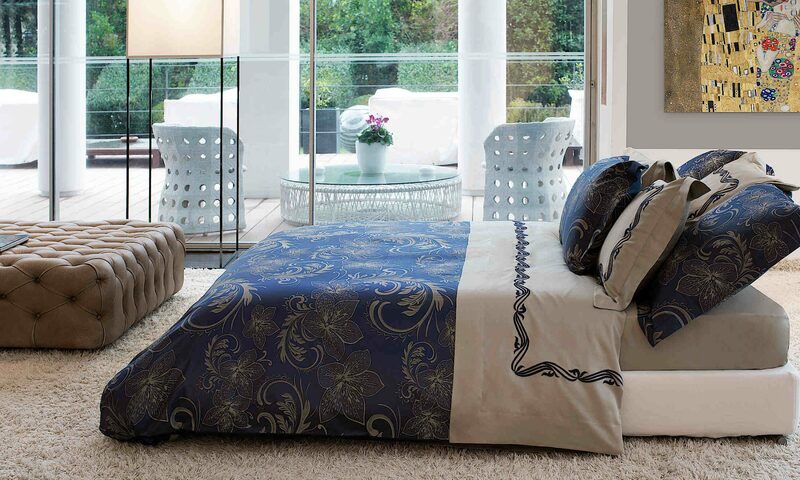 #DefiningElegance #KevinOBrienStudio Use a coverlet as your main blanket or layer it with a duvet cover. 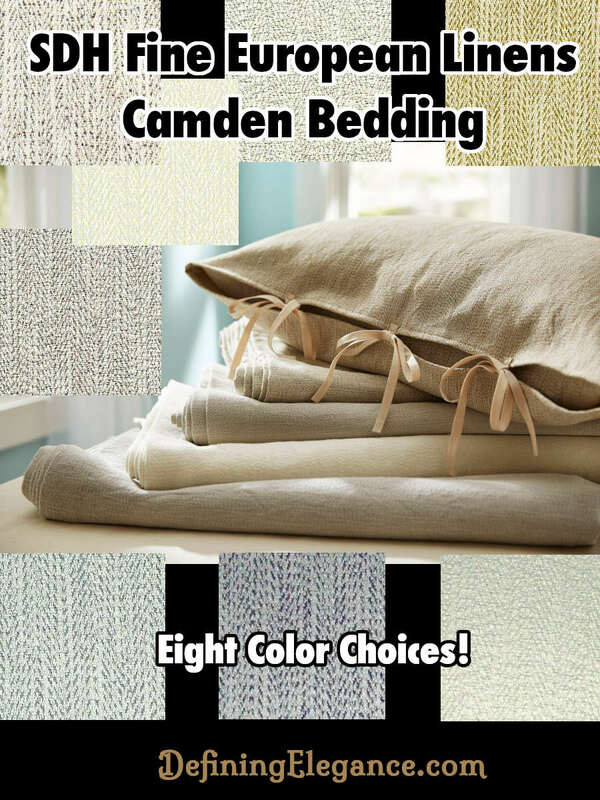 Placing a folded coverlet at the end of bed will give your bed some added personality. 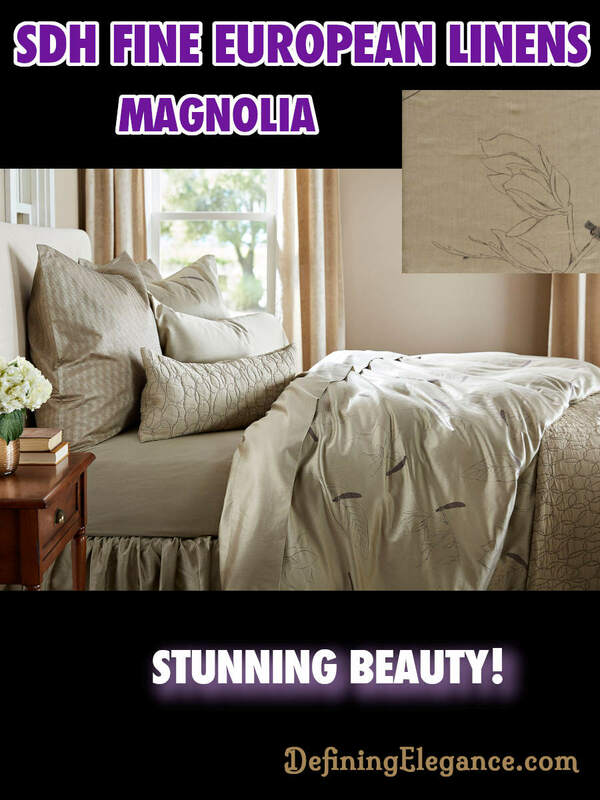 Switch decorative pillows occasionally for a different look or mood. It seemed silly to make up the bed only to tear it apart when it was bedtime. So for that reason I seldom did it. Now that I’m an adult, my world is sometimes chaotic and demanding, so making my bed brings a sense of accomplishment and peace. It all makes sense now. 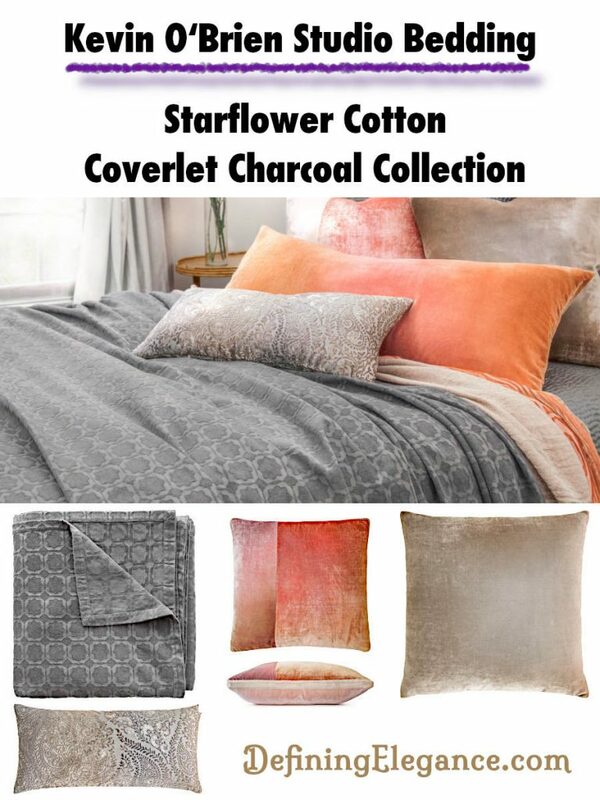 Texture conveys warmth because it absorbs light, so any element such as a throw, pillows, carpeting, or bedding that have some texture will add dimension to your space. The textured Kimi cover and shams will provide that subtle contrast needed for good design.